Technical yet flattering with a highly packable design, the Azura XT Hooded Jacket is an all-conditions alpine insulator, featuring PrimaLoft® Gold insulation for year-round, weather-resistant warmth. 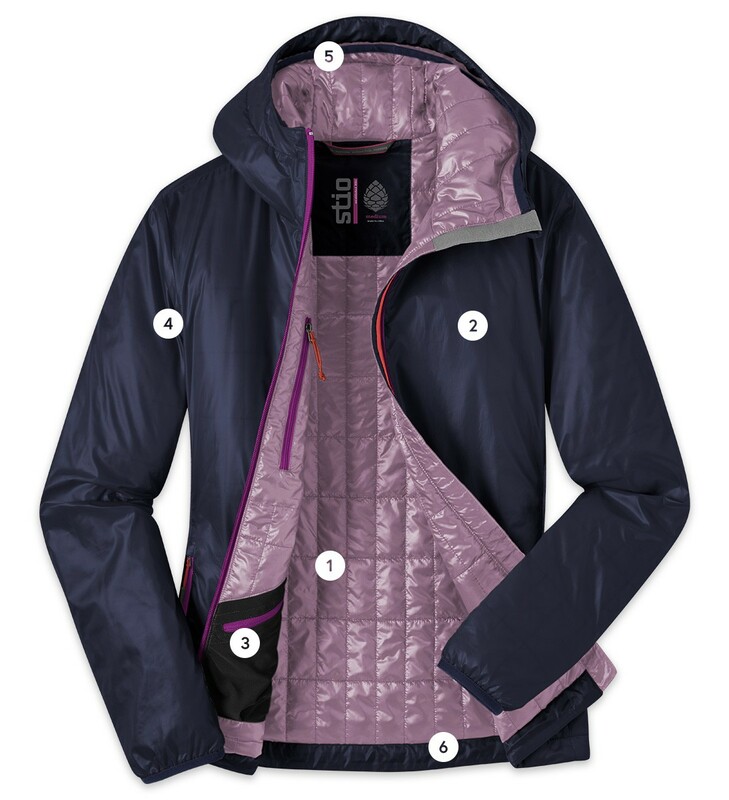 An indispensable insulator for technical outings on the rock, the trail and other out-there destinations, the Women’s Azura XT Hooded Jacket has the versatility and capability for year-round alpine adventures. Designed with a DWR-treated polyester shell and 60g PrimaLoft® Gold insulation, the Azura XT provides unparalleled warmth for its weight and insulates even when wet—ideal for big mountain days under questionable skies. Underarm gussets provide incredible range of motion, and the adjustable hood and hem seal out chilly gusts while skinning up or skiing down. With a trimmer, more athletic fit than its Azura cousins, the XT is the perfect call for streamlined mountain missions. The benchmark in performance of all synthetic insulations, Primaloft Gold is the go-to choice for adventurers requiring protection in extreme conditions. Microfibers trap body heat to make this the most thermally efficient synthetic insulation available, with water-repellency that insulates even in the wettest weather - maintaining 98% of warmth when wet. These unmatched thermal properties also feature breathability, packability and outstanding softness. Consider this the pinnacle of insulation performance. As a bluesign® approved textile, it has met the most stringent of sustainable production standards. Our technical, all-conditions alpine insulator.